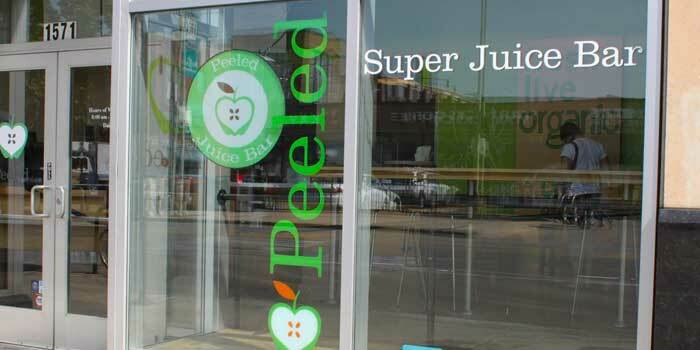 The big open windows of Peeled in the heart of commercial Lincoln Park are inviting, especially for someone in the mood for a midday or post-workout snack or a light, nutritious lunch. The wide open establishment has decent sitting and chilling room but also space for people on the go. 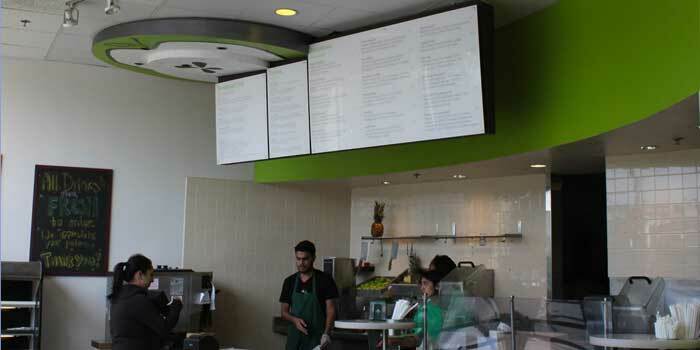 This first Peeled location used to be a Jamba Juice, but where that chain is rather generic and processed, Peeled takes a much fresher, made-to-order approach. People who are fans of healthy foods and restaurants that try to keep their ingredients fresh, organic, seasonal and local (and don’t mind paying a little extra for it) will probably be a fan of Peeled. In addition to original smoothies and juices, raw foods, booster shots and even some intriguing juice cleanses are also offered. At Peeled’s new location in Evanston, fruity gelato is served too. The first item I tried off the menu was the “Rapper’s Delight.” It was one of many beverages whose name was a popular culture reference; for instance, there are also “Forever Young” and “The Roots Crew” juices. This smoothie is markedly pine in color with flecks of a deeper green throughout. 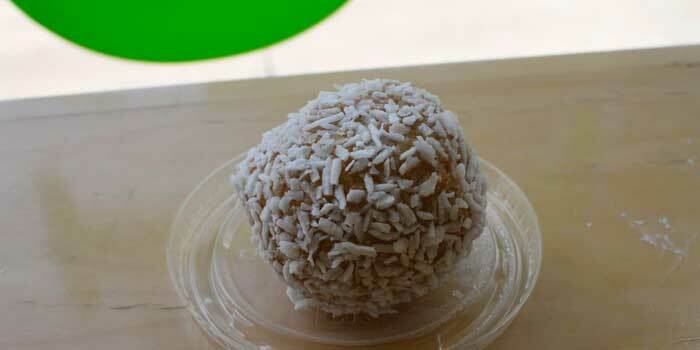 The texture was slightly thicker than a fresh juice, but grainier than a smoothie. True to its color, the immediate and overwhelming flavor was of kale, which obscured the mango’s smooth and refreshing qualities a bit, but also somehow made the drink more meal-like and filling. The camu camu served as a subtle balancing acidity to the leafy taste, and agave extracts seemed to add sweetness (the taste benefits were clear where the nutritional benefits of both of those ingredients are dubious). However, it was the cinnamon that was a delightful complement to the overwhelming kale flavor. As a snack, I also tried some macaroons. Since it was seemingly right out of the fridge it was a little hard at first bite, but the inside was thick and cakey without being too sweet. This was compensated for with shredded coconut covering its surface, whose freshness I enjoyed despite not being big on coconut. The dessert could have been a bit creamier on the inside, but once they warmed up in the open air they were delightful as a small sweet complement to my healthy drink. The menu is updated from time to time (to the owners’ whim and allegedly with the seasons too), and I was pleased to learn that the people from Peeled are often involved in community and entertainment events ranging from Building a Better Chicago fundraisers to Lollapalooza. This local place has room to grow as long as they keep up their originality, standards and service up. 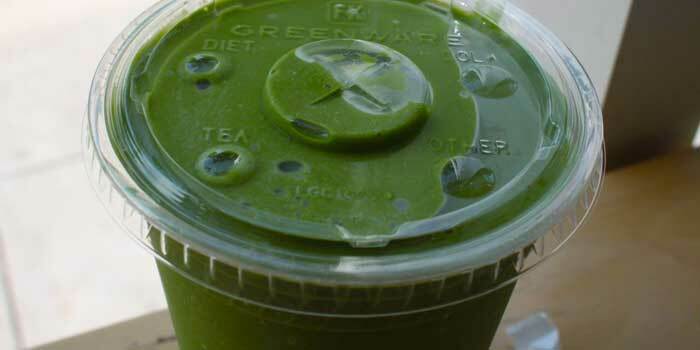 While there is something there for everyone, some items such as the juice cleanses are rather pricey, and Peeled could likely find success especially among those clients whose pocketbooks are considerable and health tastes are particular.